Andreas Lubitz girlfriend pregnant? Crash co-pilot details continue to emerge. 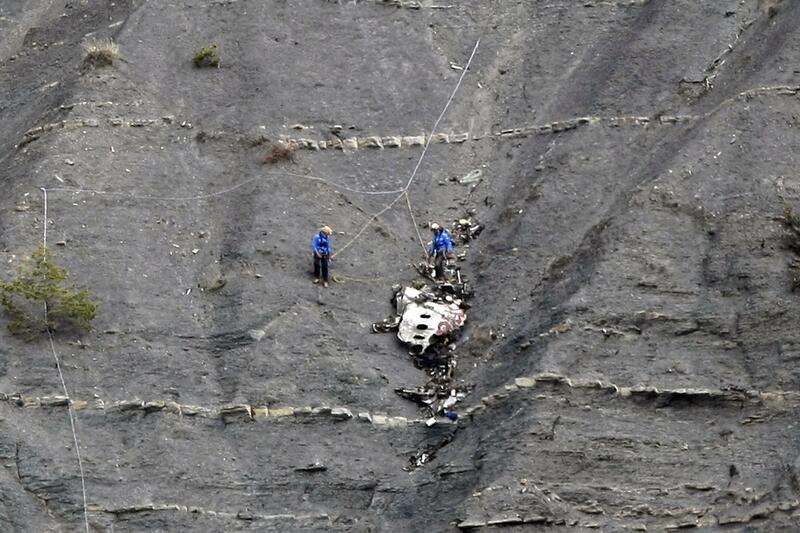 Rescue workers at the Flight 4U 9525 crash site. Kathrin Goldbach, 26, had told the co-pilot about two weeks before the crash that she was pregnant, the German newspaper Bild reported on Sunday. The German schoolteacher seemed happy about it and even told her students she was going to be a mom, the paper said. Goldbach reportedly broke up with Lubitz days before he’s believed to have intentionally downed the March 24 Germanwings flight. Investigators at the crash site have still not been able to find the contents of the plane’s flight data recorder “black box,” having only located its external casing.